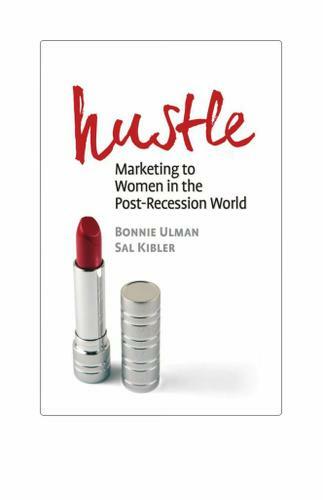 In Hustle, authors Bonnie Ulman and Sal Kibler examine the new and long-term spending culture of the post-recession era, from the rush to get the biggest discount to the decline of brand loyalty. Armed with the latest market research and scores of stories from the many women interviewed, they provide the building blocks for solid marketing strategies. The typical womans opinion of the economy is heavily cloaked in the sacrifices and changes that she has experienced in the past few years, and as a result, how she has reorganized her life, including where she shops, how she shops, even how she prepares to make a purchase. How do you map out a strategy for your brand or company in the New Hustle Economy where your target consumer is less trusting, slower to purchase, hyper-vigilant, hyper-educated, fixated on a discount, and using all the screens available to determine if you should be part of her consideration set? The good news is that the opportunities to differentiate yourself are robust and straightforward. There are core techniques that need to be executed well and delivered consistently. Be mindful that the post-recession woman operates in the "Age of the Deal," which represents both a game and a high-stakes financial exercise. Her expectation is that you have a deal for her or will soon. Women are looking for help, stability, and a superior transaction rather than a relationship. Your challenge is to demonstrate how you are supporting them during tough times. It has never been more important to remain consistent in your message and communicate it clearly, frequently, and across multiple platforms. In the Hustle Economy, the deal has to be transparent and easy for your time-stressed customer to understand and manage. More bells and whistles or steps required to get a reward do not advance the cause. Smart marketers must figure out how to re-define their consumer partnerships and communicate with post-recession women. Hustle will guide the way.